Congratulations! Teleopto contributed to a research published on Science. 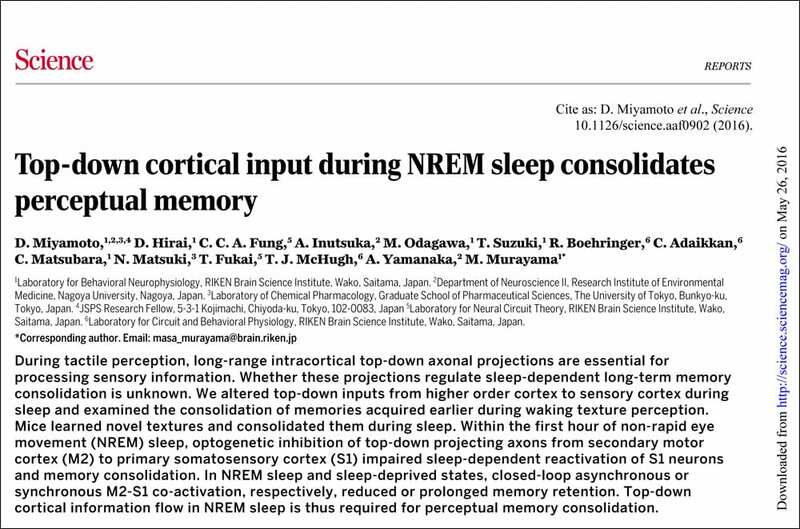 Dr. Miyamoto et al, showed that perceptual memory consolidation requires top-down cortico-cortical input during None-REM sleep with the use of Teleopto. The group applied Teleopto to inhibit cortical neuron during sleep and demonstrated how NREM sleep consolidated memory. This is another exciting moment for us as our products helped our customer’s research. Top-down cortical input during NREM sleep consolidates perceptual memory.